Looking for a new spot to discover vintage finds? A new business is here to help. Located at 4665 Hollywood Blvd. 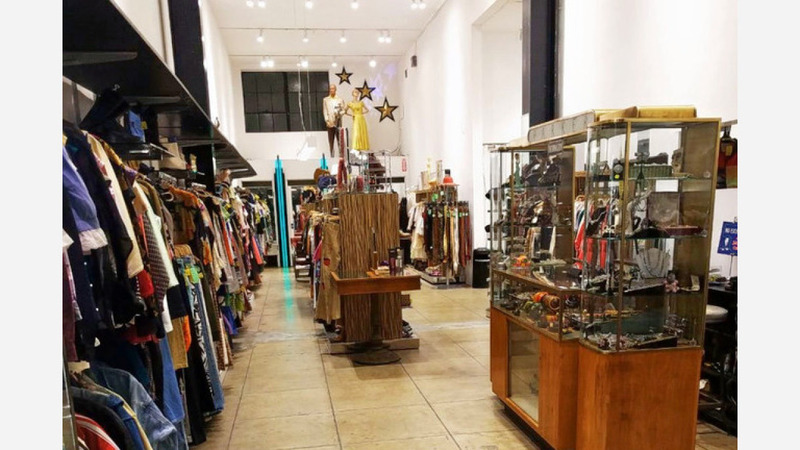 in Los Feliz, Starday Vintage sells used, vintage and consignment goods. Taking over the space of a shuttered American Apparel store, the new shop says on its website that it's "Hollywood's premier vintage department store," stocked with affordable items primarily from the 1940s-1980s. The selection includes home decor, men's and women's clothing, accessories like belts and hats, shoes and even guitars. With one review on Yelp, Starday Vintage is just getting started. Michael B., who was the first Yelper to review the new spot on May 12, said, "Super cool store! Huge selection. Very friendly staff who are super knowledgeable. Had a great time." Intrigued? Stop in and check it out for yourself. Starday Vintage is open from noon-7 p.m. daily.